My research interests are in the areas of international and comparative political economy, with a focus on the role of the state and the financial sector in economic development, as well as the amount of policy space developing countries have to conduct selective industrial policy. 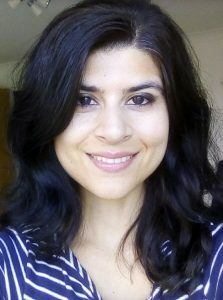 I am currently working on a book manuscript entitled ‘State-directed credit after economic globalisation: Business power and financial activism in developing countries’, which investigates the conditions under which previously liberalized developing countries can reassert state control over their financial sectors, for the purposes of structural transformation of the economy, despite the constraints posed by economic globalisation. This is done through comparative case studies of the use of developmentalist financial policies including state-owned development banks, interest rate controls, and credit quotas, in Brazil, South Africa, Bolivia, and Ecuador, where I have conducted multiple rounds of fieldwork over the past years. I am developing the argument that the power of the private financial sector vis-à-vis the state, manufacturing sector, and industrial labour unions, ultimately determines both the degree of domestic policy autonomy available to a developmentalist state, and the degree to which the state is willing to navigate external constraints. However, factors such as availability of low-conditionality sources of external financing, and market size, impose outer limits on the degree to which it is possible for developing countries to navigate these external constraints. I have side interests in the role of public ownership of large, internationalized, ‘national champion’ firms, and the causes and consequences of privatisation in developing and industrialised economies. I am also beginning research comparing new Chinese Belt and Road investments in South Asia, with existing investments in Latin America and Africa, in order to understand why some recipient countries are more able than others to negotiate beneficial agreements that promote their industrial policy objectives rather than circumscribe them. Prior to joining the LSE I held a two-year postdoctoral research fellowship, based at the Niehaus Center for Globalization and Governance, Princeton University in 2017/18, and the Blavatnik School of Government, University of Oxford in 2016/17. I was previously an LSE Fellow in IPE in 2015/16, and received my PhD from the Centre of Development Studies, Department of Politics and International Studies, University of Cambridge, in 2016. Once I have settled in to my new role, I am looking forward to continue working on my book manuscript, developing my side projects, and offering my new half unit course on Globalisation and the state in developing countries (IR480). I also look forward to co-teaching on the masters and undergraduate IPE modules IR470 and IR206. This entry was posted in departmental news, staff and tagged naqvi, staff. Bookmark the permalink.